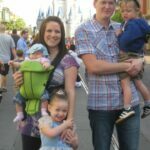 Our family has enjoyed trips to Disney World with our kids at every stage beginning at 3 months! 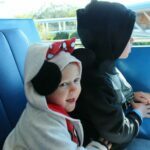 I am a big advocate for taking kids when they are young because A. they’re so cute and B. there is nothing like taking in Disney World through the eyes of a child. 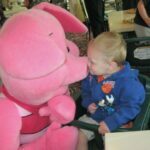 Young kids are easily excited and amazed. They’re not too cool or too old to believe in a little magic or pixy dust. Everything just seems so big and breathtaking to a child. The characters are almost real and their imaginations can run wild! On the other hand, though I am a huge Disney fan myself, I don’t think it’s for everyone. 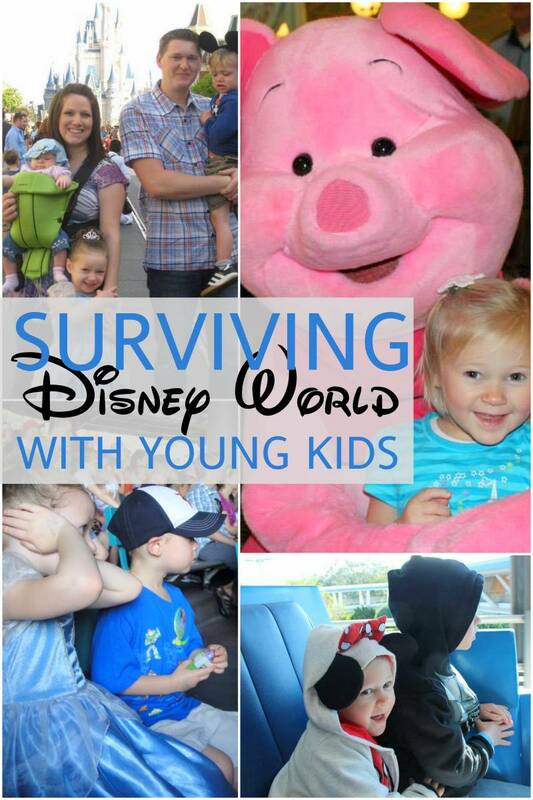 Contrary to popular opinion, your child will survive their childhood and go on to live perfectly happy and content lives if they never go to Disney World. 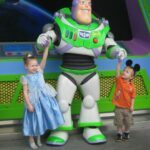 Let yourself off the hook if you don’t see your kids truly enjoying their time at Disney or your sanity remaining intact. Decide for yourself if it’s really worth it for your family. As an alternative to spending the money for a park ticket, your family may enjoy all the free sights to take in at the newly remodeled Disney Springs, formerly Downtown Disney. 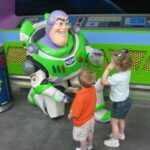 You may enjoy staying at one of the Disney value resorts for the themed rooms, Disney store, pools and activities. 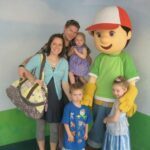 We’ve enjoyed staying at the All Star Movie resort on the off season for less than $100 a night and were perfectly content not going into a park. 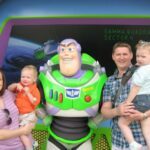 But, if you’re Disney bound with young kids, here are my top tips to help you survive and THRIVE! We have NEVER done back to back days in the parks because after just one day, we can’t imagine going back! I know for some people, there is an urgency they feel to take in EVERYTHING and go EVERYWHERE. But trust me, it is A LOT. After one day, your young kids will be DONE. If you want to take in multiple parks, schedule a day in between for rest. 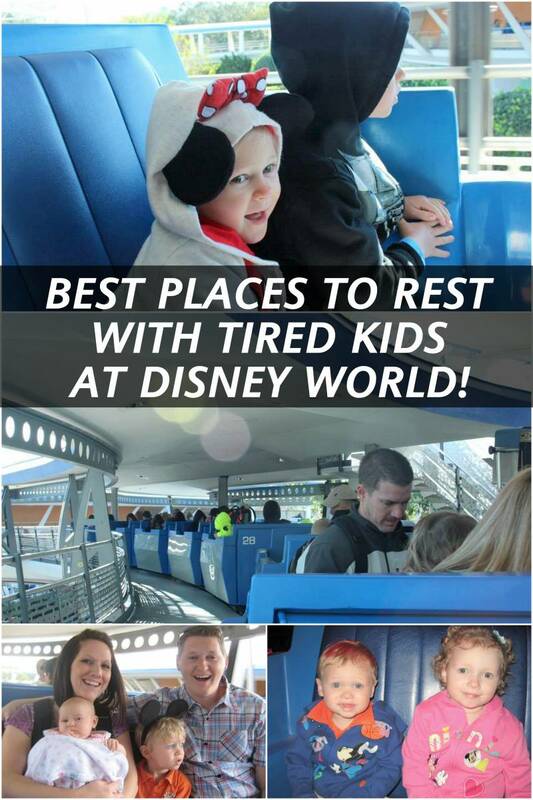 My motto is, better to end on a good note than push your kids to utter exhaustion and Disney overload. I always find that when I plan for things to go wrong, sippy cups to be spilled, clothes to be soiled, sleep to be interrupted and siblings to fight, it’s all easier to handle. 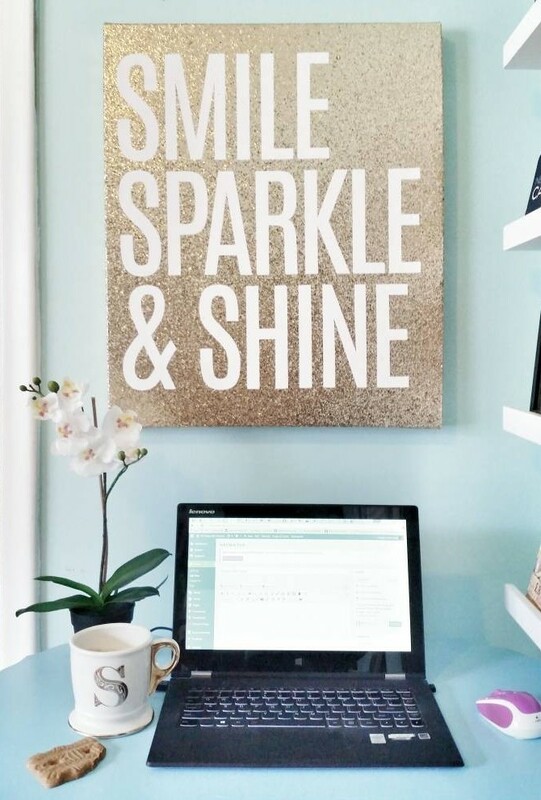 Don’t pack your schedule so tight, leave too late or push it on time so you’re running yourself ragged. Leave lots of flex-room and prepare yourself for things to go wrong. Don’t let the Disney magic take your mind to fairytale land where nothing ever goes wrong. Because when it does, you’re bound to lose your cool. If staying at a Disney hotel, you may be a quick monorail ride away from your room. You’ll have to weigh out the pros and cons to “killing time” that you paid good money for. But if your child is in desperate need of a nap, it will be time well spent. Plus, if you’re staying in a Disney hotel you may also have “extra magic hours” to use at the end of the night. We have done this many times. 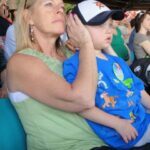 Disney parks are crowded and loud, but we’ve always managed to find a quiet spot to roll the stroller and rest. 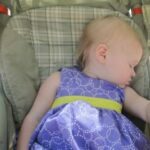 At this point, your child may have passed out in her stroller already. If not, just sit for a few minutes away from all the visual stimulation to give them some down time. If you can’t find a spot, ask a cast member! 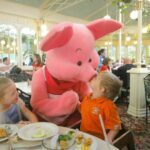 One of our favorite things to do when visiting the Magic Kingdom with young kids is book a late afternoon lunch at the Crystal Palace. 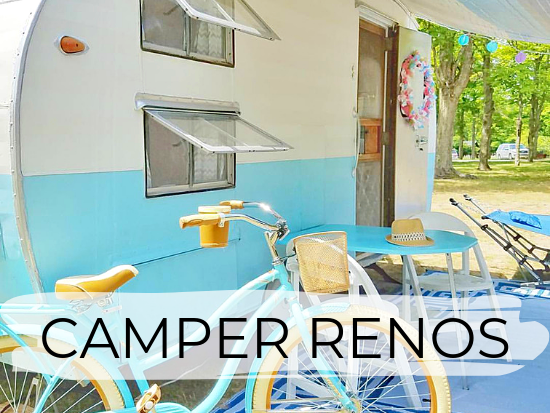 It’s a little on the pricey side, but we’ve found having that guaranteed spot to rest (which is air conditioned in the warmer months and heated during the Winter) is soooo nice. I have sat there to nurse, let our kids rest, we ate a leasurly meal, enjoyed the comfortable seat and once, took cover during a sudden down pour! 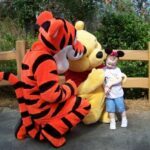 The characters from Whinnie the Pooh are great with kids, but will stay away if they sense any fear. 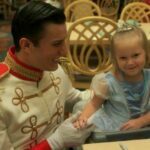 They also invite kids to walk around the restaurant for a parade every hour. 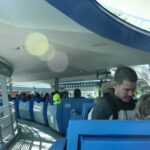 One of our favorite places to rest in the Magic Kingdom, is on the People Mover in Tomorrowland. It’s longer than most rides (10 minutes) and usually has a pretty short line to get on. We rode it over and over again one day when we were extra tired out and the weather was a little chilly. Pack the essentials so you’re prepared, but take as little as possible. Simple, right? Remember, if you take a stroller, you’ll have a built-in place for kids to nap and extra storage, but you’ll be parking it and leaving it every time you go on a ride. You leave your stroller at your own risk. Make sure your name is clearly marked on it and don’t leave any valuables inside while riding rides. 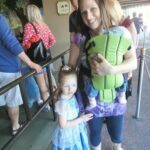 I suggest taking an older stroller or umbrella stroller for this reason… or renting one! 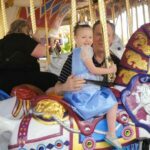 – Princess dress or pirate outfit/change of clothes: my daughters have loved going into the park already dressed as a princess but by noon they’re usually ready for more comfortable clothes. Be prepared based on your child. 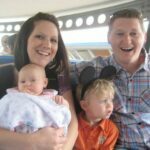 Disney offers a service to parents called “ride swap.” Say you’re at Disney World with 4 kids and one of them is scared to go on a ride but everyone else wants to… and they all want to ride with you. 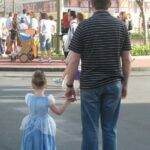 You and your spouse can wait in line, and you can take turns going on the ride with your kids, while one of you waits in line with the child who is scared. Rather than going back through the line, this is definitely an option you may want to take advantage of. Hey, despite all our preparations, they’re bound to happen. It’s a lot of stimulation and excitement for a young mind to comprehend and take in. 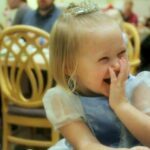 As excited as they may be, kids are bound to act out of character or tire extra quickly. Stay calm, breath, relax. It happens to the best of us. When it does, slip away and take a time out. Find the quietest, least busy area you can and just rest for a few minutes. We don’t want to reward or offer bribes for bad behavior, but we can acknowledge that your young child is struggling and may just need a little break so he is better equipped to act his best. Once they have calmed down, get a snack and talk about what you will be doing next. Is your child easily scared from loud noises? Will they be frightened by characters in costume? Be flexible and sensitive to these things. 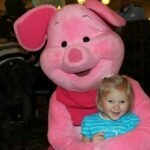 Don’t push your child to interact with a character they are visibly scared of. Most characters are well trained and will back away at the first sign of fear. Some rides are loud and can be intense for small children. Most of these rides are clearly marked in your map and on signs. 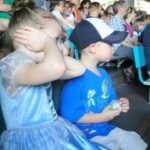 Shows like the Indiana Jones Stunt Show are fun for kids, but have some loud explosions and bursts of fire… we held our hands over our kids ears for these parts. 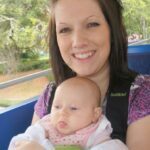 While planing for one trip we took to Florida, we had some strong reservations about taking our youngest daughter, then 14 months. She was just reaching the age where she was getting into everything, very active, very strong willed and independent. Because she was still so young, we had not had to be incredibly firm with her yet for any reason, and very rarely had to discipline her. The thought of attempting to sit by the pool and keep track of the 3 and 5 year olds while the 14 month old darted out in every direction did not seem appealing. 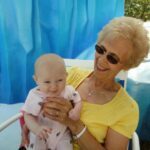 We started really cracking down on her attitude – when she would fuss or start throwing a fit, we would be extra quick to discourage it. We also made her sit for longer times in her seat at the table and practiced sitting still with her on our laps for longer periods of time. The attention to detail paid off and she was great on the trip! 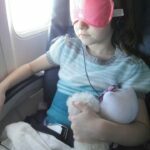 Kids notoriously get crabby and uncooperative on vacations because they without fail get the message that the world now revolves around them! 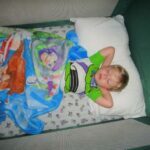 Vacations are fun, and we usually do a lot of things that are centered around the kids, so of course they’re going to start acting a little spoiled. We try to keep that in mind and start being extra cautious of it a couple months before leaving. Tighten up on things that have been slipping through the cracks and attitudes or behaviors that should not be acceptable. This is assuming you are already practicing good parenting skills and that your kids are somewhat well behaved and respect you enough to listen. On the other hand, for many people, a parenting tune up before a trip can help ensure the trip is enjoyable for everyone! 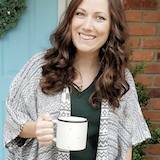 Next Post: Spring Home Tour & Giveaway! This is a wonderful article! I’m so glad you had a great Disney trip. I think just about all of these apply to adults as well!